I am a lover of anything photography based so once I came across the Fujifilm Insta Mini 8 Polaroid I knew I had to make a purchase. After a few weeks debating whether or not I needed it I finally purchased the camera with 40 shots on Amazon which was a really good deal considering that the film for the camera is very expensive. I love the idea of instantly developing your photo's which you can put in a photo album or on your walls depending on what you would rather. I love the novelty of taking the photo and the vintage effect that it produces. Taking the photos does get seriously addictive but you have to be careful of what you take because you could waste all your film within a matter of days and as I mentioned it's really expensive to be wasting but beware it's addictive. I have learnt that photos develop better if you have taken them from a distance as up close photo often turn out blurry.There is a dial on the camera which lets you know what setting to set it on to get the best possible results. To display my photos I decided on a brown book from Paperchase. I also used pattern stickers which look like tape to secure to photos which I love. I think a camera like this one is perfect if you are traveling and want to capture small snipes of your journey then this is ideal but it's not one for taking 40 or 50 photos on as it will cost you a few pound. 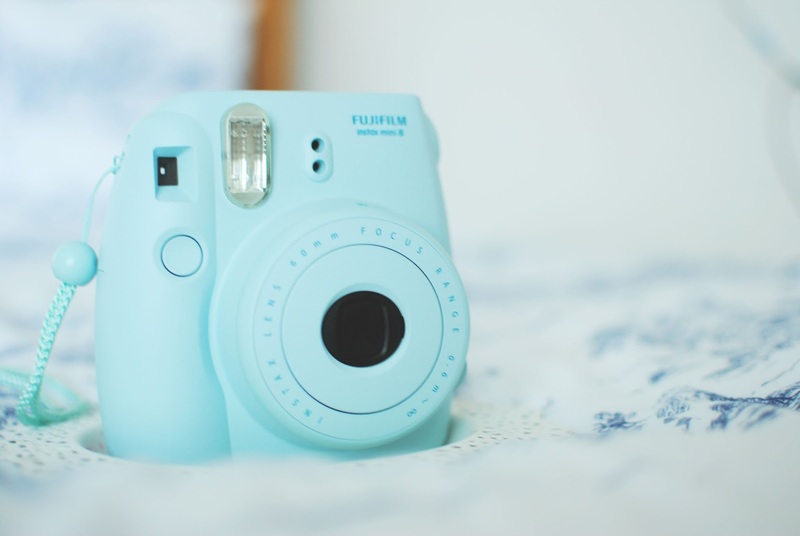 Do you own a Fujifilm Insta Mini ? 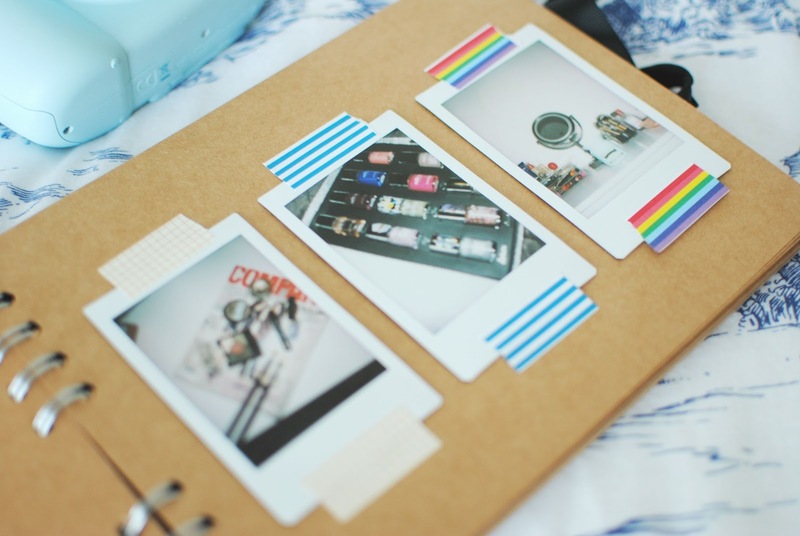 I have the Instax Wide, and LOVE it - apart from the fact it is SO big to carry round..
i really want one of these!!! I've heard so much about them, and the photos seem to turn out so beautifully! the blue is so pretty too! I would love one of these it's such a lovely way to show memories. This has been on my wishlist for a while and I love the way you have displayed the photos! I might save up and buy myself one, I would take photos of everything though. Love this! I've asked for one for my 18th so fingers crossed! Such a cute idea putting it in a scrap book too!